Singapore, 16 April 2019 - With transformation at the top of their agenda, business leaders are meeting at ConnecTechAsia, held in Singapore from 18 – 20 June 2019, to showcase and discover the latest technologies that promise to ready businesses for the future. Among a congregation of 1,800 exhibitors and 200 thought leaders at the Summit, an estimated 40,000 attendees will be looking to truly transformative technologies and solutions to get an edge up in automating business processes and exploring fresh revenue streams in this digital era. ConnecTechAsia comes out the gate in 2019 as the region’s newly minted telecom, media and technology (TMT) knowledge powerhouse, leveraging new partnerships with leading business intelligence and research affiliates such as Accenture, Deloitte, KPMG, Light Reading, McKinsey, Ovum and Tractica, to provide expert insights to all event stakeholders, not just during three event days, but throughout the year. Top brands including Amazon, Axiata, Ericsson, Google, Grab, Huawei, IBM, iflix, Intel, Microsoft, Netflix, NHK, NTT DoCoMo, RedHat, Singtel, Verizon and VMWare among many others will bring with them the latest innovations, new business opportunities and networks, and thought leadership to the show floor and Summit. “Knowledge has always been the most powerful asset to have, and today’s enterprises need additional clarity to optimise business decisions and harness opportunities. 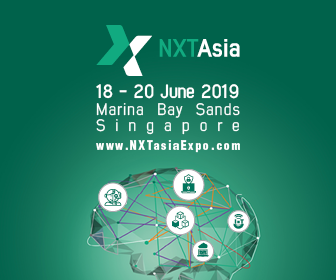 ConnecTechAsia will bring the combined value of its new knowledge partnerships providing TMT intelligence to our stakeholders throughout the year, culminating over three event days in June when the industry comes together to share, make deals and network. This new iteration of ConnecTechAsia is testament to our ever-growing commitment to support the TMT industry and facilitate its path towards successful growth in the region,” says Ivan Ferrari, Event Director for ConnecTechAsia. In 5G, Artificial Intelligence (AI), cybersecurity, multi and hybrid-clouds, Internet of Things (IoT), smart cities and more, ConnecTechAsia, comprising three pillars catering to each sector of the TMT space, will bring together the diverse yet hyperconnected businesses that will form a big part of tomorrow's digital life. CommunicAsia brings together next-gen technologies for the telecom and related industries. BroadcastAsia is where broadcasting media companies and equipment makers showcase their latest products and services, and NXTAsia will feature emerging technologies and enterprise solutions. There will also be power-packed activities, free workshops and seminars, speciality zones, partner programmes and networking receptions to keep attendees fully immersed and engaged. 2019 will see the emergence of the new Apex Pavilion, housing leading telecom operators and vendors to present a comprehensive showcase of enterprise solutions vital to the digital transformation of businesses. Led by the chairman of the ASEAN Smart City Network (SCN), in cooperation with country partners such as China, South Korea, Japan and Singapore, and the ASEAN Smart Cities Communities (SCC), 2019 will see a new Smart Cities Arena at ConnecTechAsia. With connectivity and digital solutions for city planning, smart buildings and smart homes, this will be where government delegations, investors, technology suppliers, disruptors and infocomm operators gather to do business to develop the cities of the future. Also making a debut at this year’s event is the 5G Experience - a dedicated platform with multiple live demo zones on how 5G will translate to new opportunities and possibilities for enterprises, especially in healthcare, energy, manufacturing and transportation. Attendees can learn how 5G-connected drones, for example, will make a difference for businesses, how 5G improves mapping and transportation, as well as its impact on a digital-ready manufacturing company. The ConnecTechAsia Summit, themed Shaping Future Societies, will bring together thought leaders from infocomm, technology, media and enterprises to discuss what is driving digital transformation in the region and how the latest tech trends and innovations are changing the landscapes of Cities, Economies, Business and Media. The keynote by Harriet Green, CEO and Chairman of IBM Asia Pacific, will explore how the shift from digital experimentation to scale adoption of new technologies will fundamentally alter the value chains of entire industries and change the way we work and live.